CHANDLER, Ariz. Jan. 29, 2019 - Bob Bondurant School of High Performance Driving today announced its exciting lineup of Driving and Racing courses for 2019, which includes professional instruction in high performance driving and racing, as well as driving programs specifically tailored for teens, women, first responders and the military. Each program is based on the world-famous Bondurant Method of Driving and taught by world-class instructors who are trained to the highest levels. The Bob Bondurant School of High Performance Driving has a terrific slate of courses designed to help people enjoy life at full throttle," said Chief Instructor Mike McGovern, who has been with the School for over 35 years. "We have the absolute best driver safety and racing instructors in the world, all ready to help each student make the very most of their school driving experience. We launched several amazing specials to celebrate Scottsdale Auction Week, and now that the Auction Week is over, it's a great time to schedule a course at our world-class facility. Bob Bondurant School of High Performance Driving is open for business and going flat out," said Tim Shaffer, Chief Restructuring Officer at Bondurant. "Not only has the School conducted "business as usual" for the past several months, we also hosted the Mazda Road to Indy USF2000 $200K Scholarship Shootout in December. During the School's restructuring, we've honored all of our past registrations and continue to accept new students for all of our 2019 driver safety and racing courses. The School appreciates our fans and loyal students, both current and returning, who have been patient with us during our restructuring phase, and we look forward to a robust 2019." 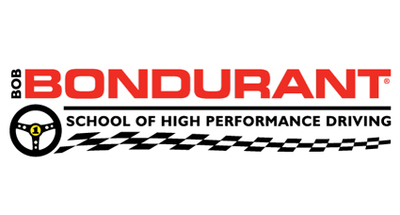 The Bob Bondurant School of High Performance Driving and Bondurant Racing School, which is located in Phoenix, Arizona, is the only purpose-built driver training facility for performance enthusiasts and is the largest driver training of its kind in the world. At the heart of the 100-acre racing facility is a 3-mile, 26-turn, and 11-multi-configuration track designed by the School's founder, Bob Bondurant. The School maintains over 200 race-prepared vehicles, sedans, SUVs, and open wheel formula cars. For more information, visit www.Bondurant.com or call (800) 842-RACE.